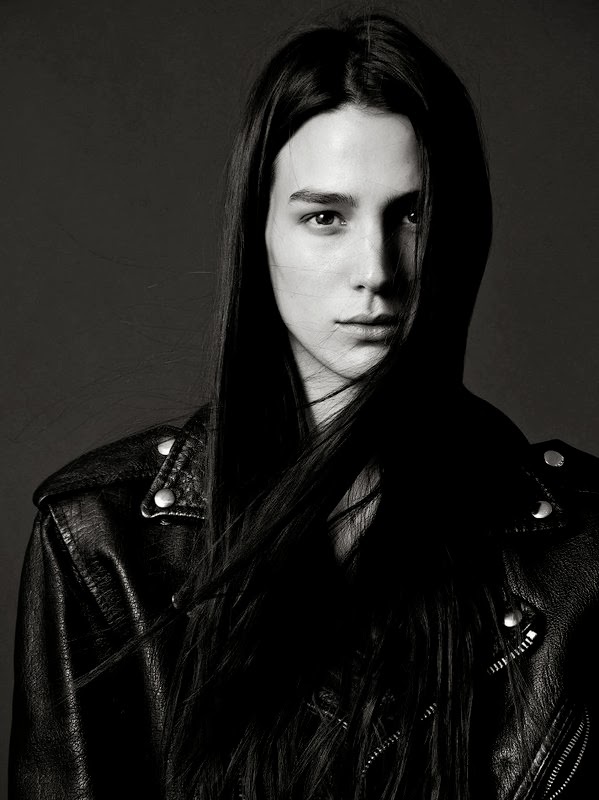 Serbian newcomer Mijo Mihaljcic burst onto the modelling scene during the Fall/Winter 2013 show season with a flurry of runway appearances which highlighted her striking androgyny and versatile beauty. The 180 cm olive skinned brunette provided the perfect counterbalance to the procession of pedestrian blue-eyed blondes infiltrating high fashion's runways. 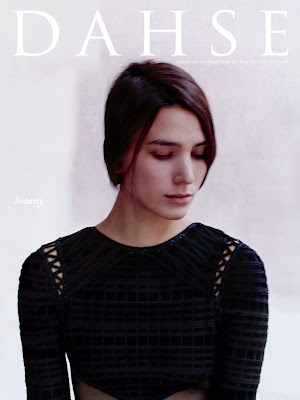 The twenty-one year old Belgrade native has since emerged as one the key newcomers to transition from red hot runway rookie to in demand catwalk and print model, logging a mammoth 53 show tally at the recent Spring/Summer 2014 collections. 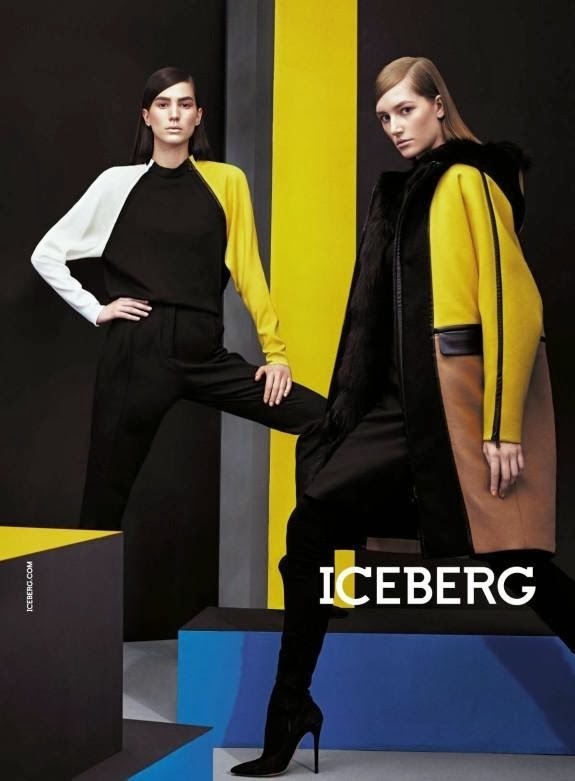 Editorial bookings for Interview, Dazed & Confused, British Harper's Bazaar, Document, and the Dutch and British editions of Vogue , in addition to Fall/Winter 2013 campaign slots for Iceberg, Closed, and Zara attest to Mihaljcic's dual high fashion cred and mainstream marketability. The distinguishing factors attributing to Mihaljcic's current it girl modelling status; from her unique Serbian heritage, to her alluring tomboyish prettiness, and the most memorable first name seen in modelling since Twiggy, all point towards fashion's current yearning for models who bring their own distinct individuality to the fore. Impeccable bone structure, a coltish frame, and soulful brown puppy dog eyes certainly figure into Mihaljcic's formula for success, however it is the cool factor that she emits both on and off the runway which has earned her the adulation of key industry players. 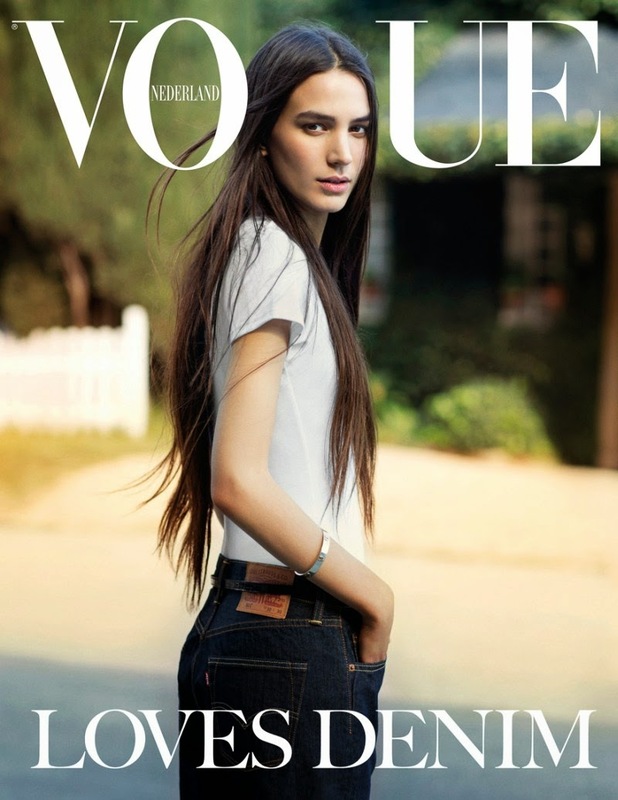 Mihaljcic's fast-track to modelling stardom has everything to do with pinpoint precision in timing and development on the part of her management team at IMG Models. IMA caught up with Mihaljcic as she wound down from the frenetic madness of the Spring/Summer 2014 collections to chat about her take on aspirational beauty, trading up law books for catwalk classes, and the family nickname that is now her namesake. Inoubliable Model Army (IMA): Hi Mijo, thank you for chatting with IMA and congratulations on a phenomenal follow-up season at the Spring/Summer 2014 collections. What were you expectations coming into your second show season? MM: Every season is a new challenge. Before the show season began, I hoped to do as well as the previous season or even better, luckily it turned out to be the latter. I am truly happy with how this season unfolded. IMA: Would you mind filling IMA in on your backstory? MM: I was born June 5th, 1992, in Belgrade. Before I started modelling, which was January 2013, I was living in Belgrade and studying law. After I finished the first year of law school I wanted to take a little time off to go after my dream to model. I went to New York on my own and signed a contract with IMG, just a day after I met them for the first time! After that, my life has changed - I'm based in New York and doing the job I've always wanted. IMA: Your name is actually Mila, but you go by Mijo! Where does your nickname come from and does it have a particular significance to meaning? MM: My younger sister, Mina, gave me the nickname Mijo as she couldn't pronounce my name correctly. Now that my family nickname, it felt like the obvious choice for my modelling name. My family and friends back home find it really cute that everyone now calls me Mijo. IMA: With so many models both established and newcomers vying for key runway slots, what do you feel is most vital for standing out and leaving a favourable impression at castings? MM: There are plenty of models and not that many looks for a show. You need to be yourself, that's the thing that will impress all casting directors. And of course, good energy and a positive attitude. IMA: There are not so many well known Serbian models, the only ones I can recall are Zlata Magafic and Natasa Vojnovic. Are you considered conventionally beautiful in Serbia and how do your friends and family feel about your life as a jet-setting model? MM: I am trying to help positively represent Serbia in the fashion industry which is a big honour. My family, friends, and Serbians are proud of me and my work which gives me confidence and makes me want to work even harder. 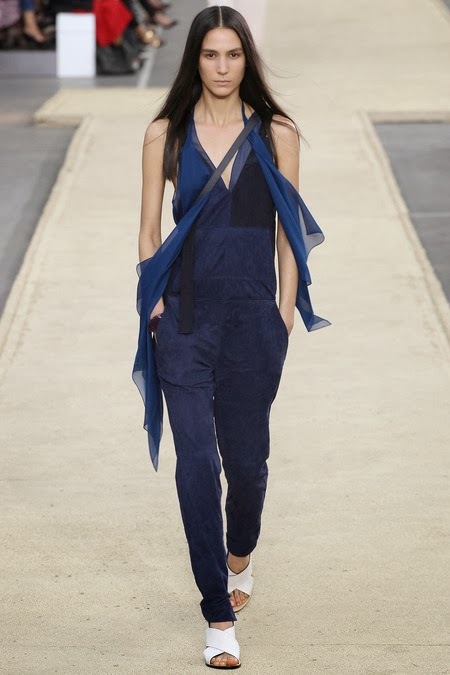 IMA: Your Spring/Summer 2014 show list included appearances at Hermés, Miu Miu, Alexaner McQueen, Chanel, Prada, Versace, Tom Ford, and BCBG Max Azria! What are your fondest memories of the past show season? MM: It's not easy to be cast in such amazing shows, it is hard work, but you forget all of that once you're on the runway. It is amazing, wearing the clothes, working with other models (many of whom are now my friends), and being surrounded by the talented designers, casting directors, hair and makeup artists. We are a great team ;-)! IMA: The issue of diversity was at the forefront of many casting director's minds this season. Given your ethnic background, what are your thoughts on the lack of diversity on fashion's runways? MM: It can always be better, we should never stop working towards that. 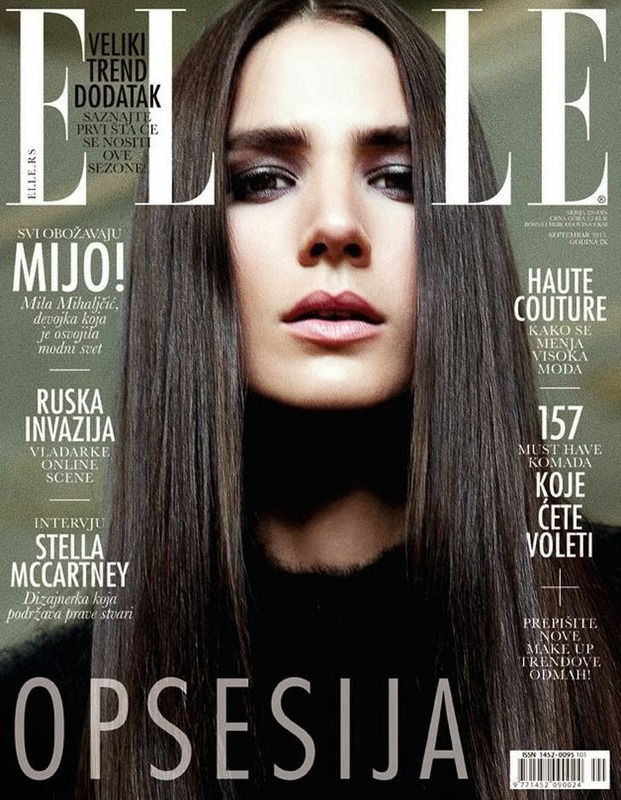 IMA: You've recently added cover appearances on Serbian Elle and Dutch Vogue to your burgeoning resumé. Have you gotten used to seeing your image plastered on billboards and on magazine covers? MM: That's what fills me with energy and inspires me. I love it! IMA: How would you describe your street style and if you could have walked of the runway with one look this past season, which collection would it have come from? MM: My street style always depends on my mood that day. I love mixing patterns and various trends, but always wearing clothes I feel comfortable in. It's hard to choose just one look. Every look I wore was my favourite for a different reason. IMA: Casting trends over the past few seasons have shifted towards an aspirational sophisticated beauty which evokes both a visceral and cerebral response. What is your definition of an aspirational beauty? MM: A beautiful soul is more attractive to me than any type of physical beauty. IMA: One of the challenges of modelling is the amount of time spent travelling away from family and friends. How do you counter this aspect of your profession? MM: It's really hard to be away from my family and friends. I'm using every weekend off when I'm in Europe to fly to see them. But I feel so lucky to have met so many people through fashion, I love my modelling buddies! MM: My strong face, big smile, patient nature, and good energy.